In November 2017, ELNET Germany organized together with the International Journalist Program (IJP) a delegation of journalists to Israel. As opinion leaders of major German outlets these individuals shape the view of Germans on Israel daily. The delegation included journalists from the newspaper “Der Tagesspiegel”, DPA (German Press Agency), ARD Digital (Public TV/Radio station) and Thüringer Allgemeine among others. 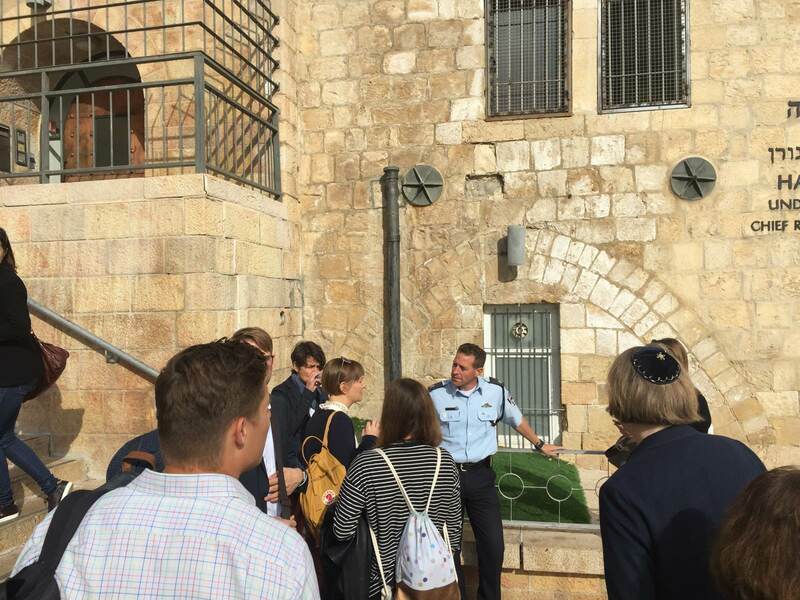 The programme of the delegation included meetings with Emmanuel Nahshon, Spokesperson of the Israeli Ministry of Foreign Affairs who gave the group an overview of the German-Israeli relationship, Micky Rosenfeld, Foreign Press Spokesperson for the Israeli police who informed the journalists of the security situation in Jerusalem and MK Amir Ohana. The group also visited Ramallah and Rawabi for meetings with member of the Executive Committee of the Palestine Liberation Organization (PLO), Dr. Hanan Ashrawiand Bashar Masri, Founder of the first Palestinian-planned city of Rawabi aimed at giving the delegates a complete picture of the players in the region. The meetings at the the Land Crossings Authority at the Gaza border, as well as with the peace activist Hila Fenlonfrom Netiv HaAsara and security expert Amos Harel gave the group an insight into the security situation on the ground. The program was concluded by a dinner with Israeli journalists and German foundations.